Yesterday, a delegation from the StopETP coalition demonstrated outside the Ethisphere gala, an annual event honoring “the world’s most ethical companies.” Amazingly, U.S. Bank was among the honorees this year – despite their deeply hypocritical and deceitful lending practices in the pipeline and energy sector. At last year’s Annual General Meeting, U.S. Bank CEO Andrew Cecere said to all shareholders that “we do not fund oil and gas pipelines.” What he actually meant was, that U.S. Bank no longer provides project level loans to pipeline companies. In actuality, project loans represent a very small percentage of credit used to actually build pipelines. 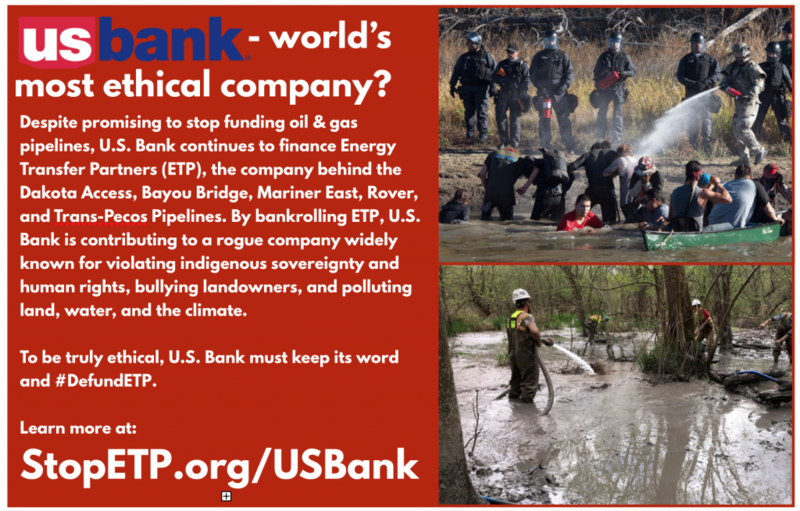 U.S. Bank is still deeply steeped in the pipeline business, and recently joined as a lender to two credit deals with ETP totaling an astounding $5 billion – enabling ETP to fund its dirty pipeline projects including Bayou Bridge, Mariner East 2, and Rover – among others. Among attendees at our demonstration was Pastor Harry Joseph from the Mt. Triumph Baptist Church in St. James, Louisiana, the tail end of Energy Transfer Partners’ Bayou Bridge Pipeline. Pastor Joseph spoke outside the event, describing the greed and racism that’s fueled the rampant pollution that’s causing an ongoing health crisis in his community. 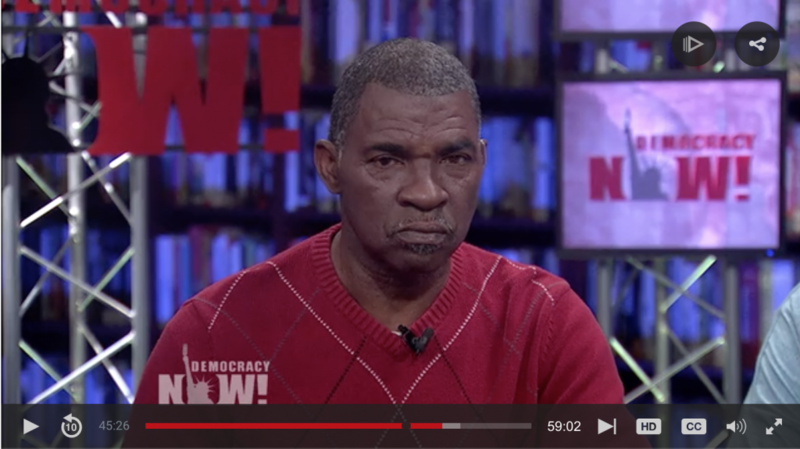 Surrounded by oil, gas, and petrochemical infrastructure, his small, predominantly black neighborhood is nearly ubiquitously plagued with cancer. The community continues to courageously stand up for their right to clean air, water, and land – and are among the leaders in the fight to stop the Bayou Bridge Pipeline from adding to the already overburdened industrial pollution in his community. U.S. Bank has yet to offer a meaningful response to our demands that they fully #DefundETP and all oil and gas pipeline companies. Until then, we will keep building momentum and will make sure that investors, customers, and communities are well aware of U.S. Bank’s hypocrisy. See the full livestream from yesterday’s demonstration at the Ethisphere gala here.